Ready to drop some coin this weekend on Apple Watch Series 4? If you want to save 15% off your shiny new watch right now, head over to Canadian Tire. Why? Right now, Canadian Tire has a sale on Sport Chek gift cards, offering 15% off. So with every $100 in gift cards purchased, you’ll only need to pay $85. The 44mm Apple Watch Series 4 costs $559 before tax. Saving 15% off means savings of $83.85, which is pretty decent for a product that just launched last month. 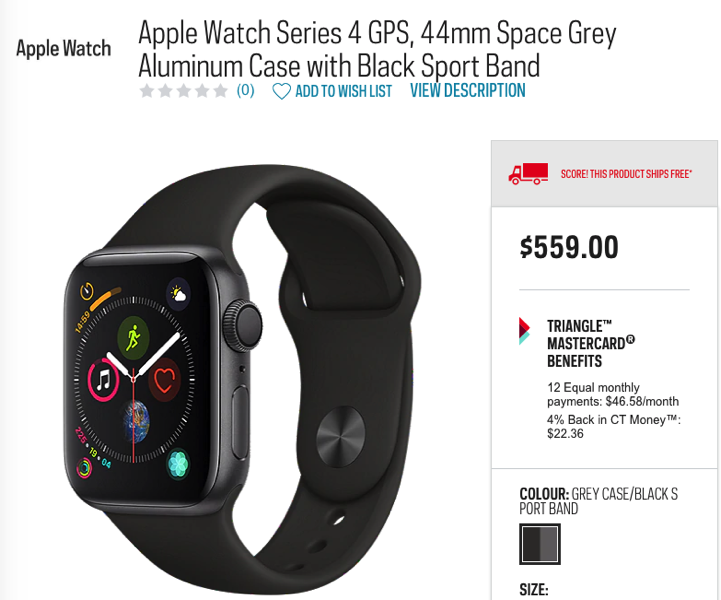 If you’re buying your Apple Watch Series 4 online on SportChek.ca, you can take another 6% off your purchase by going through eBates.ca to get cash back. 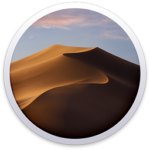 So that would mean 21% off your Apple Watch Series 4. That’s a good deal. RFD members are snapping up these gift cards like crazy, so let us know if your local Canadian Tire has them in stock still. 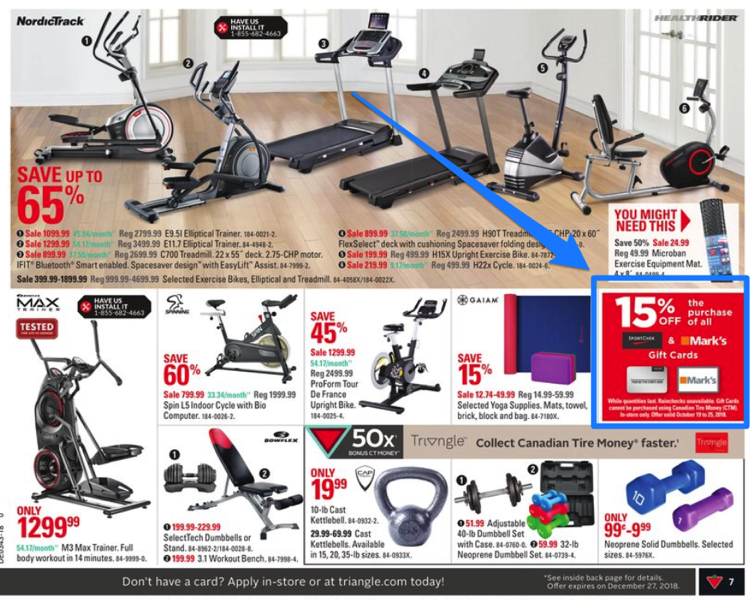 Canadian Tire says “while quantities last” on this 15% off sale on Sport Chek gift cards. The retailer also sells other electronics such as GoPro cameras, so you can get creative in what you want to save 15% off on.